If you are looking to file for divorce but are not sure about what to do, there are several options available in Tennessee. Mediation is one of those options. Are you unclear about what divorce mediation is? About whether it is right for you? About what exactly a divorce mediator does? You are not alone. The concept of applying mediation to the process of divorce is a relatively new procedure in Tennessee. The following answers on divorce mediation may be useful to you as you struggle to make sense of your marital situation. Since every divorce or separation is unique, contact a divorce and separation attorney at the Law Offices of Adrian H. Altshuler & Associates to receive specific advice regarding your decision and whether or not mediation is the right choice for you. Mandated mediation (Court-mandated mediation sessions, per Tennessee Code – Volume 6A, Title 36). Tennessee judges require divorcing parents of minor children to submit to mediation, attend parenting class, and present a parenting plan. Even when no children are involved, the Tennessee courts may require the divorcing couple to submit to counseling or mediation to see if the marriage can be saved before the court will grant a divorce petition. But if the court feels there is no chance at reconciliation, the court will not mandate counseling or mediation. Voluntary divorce mediation as an optional alternative dispute resolution method. Mediation as a form of alternative dispute resolution is a negotiation where a neutral party helps disputing parties—the divorcing couple—toward a mutually satisfactory result. The mediator does not advocate for either spouse, but rather advocates for resolution, facilitating the process of achieving fair settlement terms without making decisions for the couple. Divorce is inevitably a difficult, emotionally stressful life event. The cooperative spirit of the mediation process alleviates a great deal of the stress that is common in standard divorces—whether you are on the sending or receiving end of such contentious processes as serving or being served and building a case or defending against one. Furthermore, a mediated divorce is usually much less expensive and takes considerably less time to complete than a traditional divorce settled in court. Divorce mediation is not right for every family in Tennessee. The divorce mediation process inherently demands collaboration, which only works when you and your spouse agree to try to work together. If you feel this might be the right solution for you, arrange an appointment to consult with a family lawyer with collaborative divorce experience. 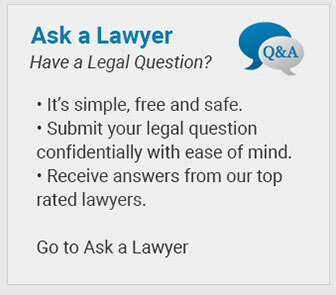 How can a Tennessee divorce mediator help me? A Tennessee divorce mediator operates within the state’s Standards of Professional Conduct for Rule 31 Mediators. In the mediation process, the mediator sets an orientation session, defining the mediator’s neutral role and assessing whether the case is suitable for mediation. A skilled mediator does not coerce or unfairly influence a party into a settlement agreement or make substantive decisions for either spouse. The mediator promotes a balanced process, encouraging the couple to conduct deliberations in a non-adversarial manner and with mutual respect among the parties throughout the mediation process. When a mediator believes either spouse does not understand or appreciate how an agreement may adversely affect legal rights or obligations, the mediator advises the participants to seek independent legal counsel for divorce advice. Clients rely on the Law Offices of Adrian H. Altshuler & Associates to protect their interests throughout divorce and family law matters. They know we do everything we can to aggressively pursue justice on their behalf. We can do the same for you. Call our Columbia & Franklin, TN divorce lawyers today at (615) 412-1121 or use our convenient online form to schedule your free initial consultation.